Viewing computer or digital screens often require the eyes to work harder resulting in CVS or Digital Eye Strain, resulting in loss of productivity. Computer Vision Syndrome “CVS” or Digital Eye Strain occurs because the visual demands of the task exceed the visual abilities of the individual to comfortably perform them. At greatest risk for developing CVS or Digital Eye Strain are those persons who spend two or more continuous hours at a computer or using a digital screen device every day. In today’s industry, computer use and use of digital devices is not limited to office workers but occurs in every shop floor and other production facility. Lenses prescribed to meet the unique visual demands of computer viewing may be needed. Special lens designs, lens powers or coatings may help to maximize visual abilities and comfort and reduce the effects of CVS. A solution is needed to protect the workforce not only from eye safety hazards but also the prevent CVS. SafeVision®, LLC is the first prescription Safety Eyewear provider to offer prescription safety glasses that both meet ANSI Z87.1 standards and address the issues of CVS. 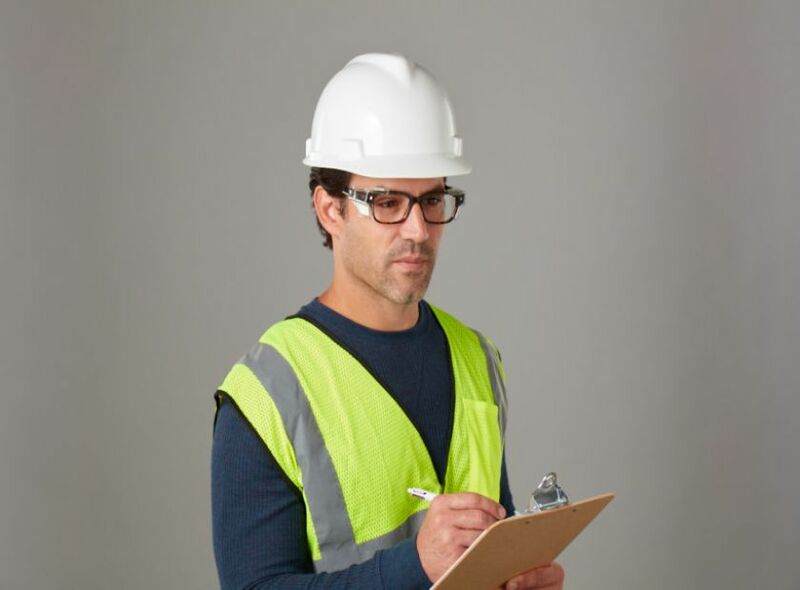 SafeVision's® Computer Safety Glasses protect workers from not only traditional external hazards, but also from eye strain from extended multi-screen viewing. SafeVision® is a recognized leader in providing prescription safety eyewear and corporate eyewear and Safety Eyewear programs.